This is the second part to my epic comparison between the Console Wars between Nintendo and Sega and the Monday Night Wars between WWE and WCW. I say "epic" not because of how good it is, but based on sheer size alone, as the dtoid blog editor forced me to break it up due to the length. So if you haven't read the first part, you can find that here, and enjoy the rest of what I've written. 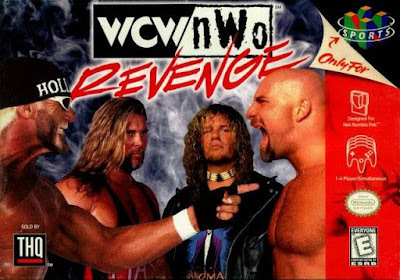 Unless you were involved in the gaming industry or worked for WCW, you probably had no idea that both Sega and WCW were falling apart at the seams. For Sega, it was in large part due to the poor decisions made by Sega of Japan regarding the Saturn. The thing bombed hard. And in WCW's case, it can best be summed up by the saying “The inmates were running the asylum.” There were wrestlers under contract that received guaranteed money that never made an appearance at WCW events, and men like Hulk Hogan had creative control of their characters written into their contracts, meaning that Hogan had veto power over any idea that WCW writers presented to him that he didn't care for. If you’re in charge of a wrestling company, you have to be in control, and Eric Bischoff had lost any semblance of control in the late 90s. Though we did get one of the best wrestling games of all-time out of the whole ordeal. The Monday Night Wars era was undoubtedly the biggest boom period that the professional wrestling business has ever seen. At the time, I was in middle school, and it was impossible to go an entire day without seeing one of my classmates wearing a t-shirt adorned with images of Stone Cold Steve Austin, the nWo, or Degeneration-X. We would spend entire class periods with each other debating who was better? WWF or WCW? Well, the year of 1999 settled that debate once and for all. Behind the scenes, Eric Bischoff seemed to only be concerned about his top guys, guys like Hulk Hogan and Kevin Nash. The only problem is that Bischoff's top guys were not the guys that fans wanted to see at the top. WCW finally had a certified, homegrown star in Bill Goldberg, and despite the folly of giving away their biggest match on national television, WCW still had a wave of momentum. But at the tail end of 1998, at WCW's Starrcade pay-per-view, they made one of the worst booking mistakes in wrestling history: they ended the streak. With the outside interference of Scott Hall, Kevin Nash defeated Goldberg for the WCW Championship. It may not have been a clean victory, but the streak was officially over. The air of invincibility surrounding Goldberg was now gone. 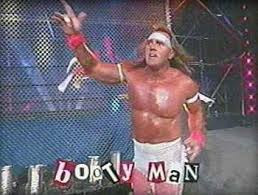 The man who had been undefeated in 173 straight matches was only able to hold on to the WCW title for a measly 5 months. When the year 1999 rolled around, WCW was still making tons of money. They were back in second place, but they were still a strong competitor, and you always had the feeling that they could retake the lead at any moment. Their ratings were still great, merchandise was flying off the shelves, and the buyrates for their pay-per-view events were off the charts. By the time 1999 ended, however, WCW was a sinking ship. But even in 1998, storylines and angles had become so convoluted that it was hard to keep track. Kevin Nash had split from nWo to form nWo Wolfpac, and Hogan's nWo would now be referred to as nWo Hollywood. 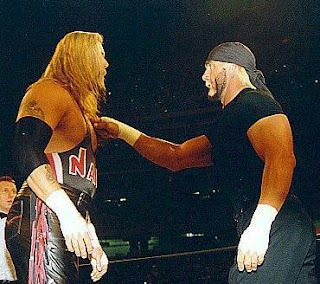 The two factions had been feuding with one another since the split in April 1998, and Scott Hall, Nash's former tag partner, had sided with nWo Hollywood, making his interference in the Goldberg/Nash match all the more confusing. Following the controversial finish at Starrcade, Kevin Nash came to the ring the next night on Monday Nitro and expressed dissatisfaction with Scott Hall interfering in the match. Nash offered Goldberg a rematch on Nitro the following week. The match was set for January 4th, 1999, and it turned out to be the catalyst that ultimately led to WCW's downfall. But before we get to that pivotal episode of Monday Nitro, let's switch gears back to the Console Wars. In a similar fashion to the way WCW didn't give you the wrestlers you wanted to see, Sega made the same mistake on the Sega Saturn. The Genesis exploded in popularity in large part to the introduction of Sonic the Hedgehog and the realistic sports simulations developed by Electronic Arts. Due to the negative publicity the Sega Saturn had garnered, EA had banked on the 3DO, and when that didn't work the way they wanted, the switched to the Playstation. 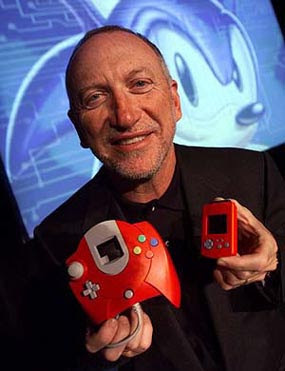 Now Sega was left without one of the strongest pillars in their foundation. And, more shockingly, the Sega Saturn never had a Sonic the Hedgehog game. At least, not a true one. 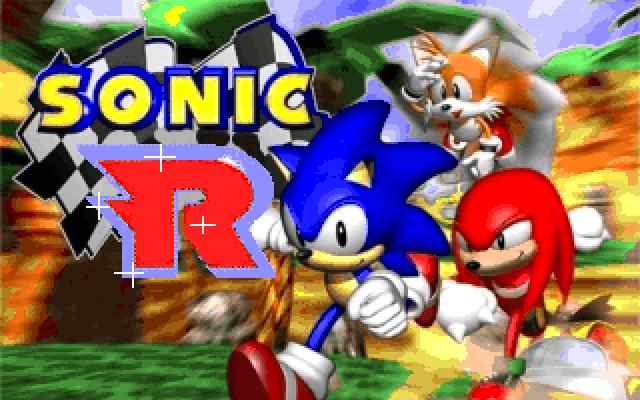 What we did get was a version of Sonic 3D Blast, a Genesis compilation called Sonic Jam, and a terrible racing game, Sonic R.
How could Sega not be ready with a true Sonic game for the Saturn? Can you imagine a Nintendo console without a Mario game? Say what you will about Nintendo, but when they release a console, you know that their franchises will be prominently featured. Every Nintendo console, home or handheld, will feature Mario games, Legend of Zelda games, Mario Kart, Super Smash Bros., Kirby, and the list goes on. While some fans express dissatisfaction with Nintendo returning to the well so often, most fans (including myself) come back to Nintendo time and time again because those are the games that we want. Sega didn't do that with the Saturn, and it's one of the main reasons the console failed. And now, let's get back to wrestling. It's hard to point a finger at one particular event that started the downward spiral for WCW. As I mentioned, despite being back in second place in the ratings, WCW was still extremely profitable in 1999. But if I had to point a finger at anything, it would be just that, a finger. It's an event that has become infamous and is referred to by fans of wrestling as "The Fingerpoke of Doom." Kevin Nash took his biggest bump since coming to WCW, and let Hogan pin him, winning the title, and reuniting the New World Order. On the surface, this seemed like a great idea. But so many things were done wrong here. 1). Why would you involve your biggest babyface and most profitable star in a storyline where he's being accused of illegal activity? He's a good guy! 2). Secondly, this was the exact same type of swerve they used at the formation of the nWo, so it wasn't particularly surprising. 3). Thirdly, after the match was over, Goldberg hits the ring and proceeds to get absolutely pummeled and embarrassed by the nWo, making their big star look incredibly weak. 4). And finally, WCW commentator Tony Schiavone explained to everyone why they shouldn't change the channel to Monday Night Raw. At the time, Raw was pre-recorded, and WCW would give away the results on live television. This is what Mr. Schiavone had to say. Remember how Sega fans wanted a Sonic game on the Saturn and didn't get one? But Nintendo had all of their top franchises represented? Well, WCW fans wanted to see Goldberg regain his title, but they didn't get that. Fans were sick of seeing the same guys taking the top spots. WWF, on the other hand, were giving fans the wrestlers they wanted. They wanted Steve Austin, they wanted The Rock, and, at that point in time, they wanted nothing more than to see Mick Foley win the WWF Title. To this day, it's a moment that still gives me goosebumps. When Tony Schiavone gave away the ending to Monday Night Raw, according to the Nielsen ratings for that evening, hundreds of thousands of wrestling fans switched from Nitro to Raw, giving the WWF another decisive victory. In a very dumbed down comparison, the “Fingerpoke of Doom” was WCW's Saturn. Following the “Fingerpoke of Doom” incident, WCW continued to absolutely bleed money. At the time, WCW had guaranteed contracts for wrestlers that never appeared on WCW television, and not only that, but they spent millions of dollars a year just on flying wrestlers to their shows. The roster at the time was well over 100 people, maybe only a quarter of which would actually appear on that night's card. That's a lot of money to use on men and women to sit around doing nothing. As I've mentioned on more than one occasion throughout this article, Eric Bischoff was more concerned about winning the ratings war on a week-to-week basis than he was putting a quality product on television that evening. His next bright idea was to bring in high-price celebrities and musicians only to have WWF still crush them in the ratings for that quarter-hour. He paid boxing announcer Michael Buffer six-figures just to show up and say his famous, five-word catchphrase, which I won’t repeat here in fear of a lawsuit. He paid rapper Master P $200,000 per appearance. 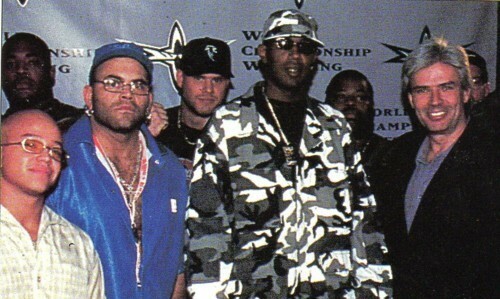 He paid Master P's buddy, Swoll, a $400,000 contract to wrestle all of 3 matches for the company. And, in keeping with his ideology of overpaying for talent way past their prime, he even brought in the bands Megadeth and Kiss for a couple of pretty pennies. So many different emotions captured in just one picture. In September of 1999, Eric Bischoff was relieved of his position at WCW. Acting Vice President Bill Busch looked to rival WWF to steal away Vince Russo, the company's head writer for the past two years. Russo had helped WWF retake the lead in the ratings, and Busch decided to make him the man in charge. Things only got worse from there. For every great angle he wrote for the WWF, he wrote an equally bad one for WCW. 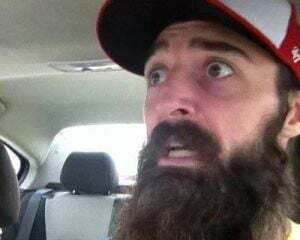 He had plans to make UFC fighter, Tank Abbott, the WCW champion, he continuously booked wrestlers to film “fake shoot” promos, which resulted in both fans and wrestlers not knowing if it was supposed to be a “fake” or a “shoot,” and as a way to gain publicity, he booked not only himself as champion, but also B-level actor David Arquette as champion. You heard me right, at one point in time, the same title that had been held by Ric Flair, was held by David Arquette. Meanwhile, Tom Kalinske had grown increasingly frustrated with the direction Sega was going and the decision-making going on from the higher-ups at Sega of Japan. So much so that he resigned from the company in 1996. His replacement was former Sony employee, Bernie Stolar. Kalinske and Bischoff had led their respective companies to heights they had never seen before and would never see again. In addition to that, both men were replaced by employees of rival companies. Unless you had experienced them first-hand, it's hard to put into perspective just how easily things could be different right now. Perhaps Nintendo and the WWF would still be around these days in some capacity, but at one point in time, both companies were in deep water with no signs of a life raft. After the Playstation came in and dismantled the competition, Sega fired back in 1999 with the Dreamcast. Still regarded as one of the best game consoles of all-time, the Dreamcast should have been the device that saved Sega's hopes of staying in the console market. However, the Dreamcast was so ahead of its time that it was providing gamers with experiences that we didn't know that we wanted. Because of that, and with the Playstation 2 on its way, the Dreamcast went out in a blaze of glory, producing some of Sega's best and most unique games to date. As for WCW, after the release of Bischoff, they hired Vince Russo, then fired Vince Russo, then hired Kevin Sullivan, then fired Kevin Sullivan, then hired both Bischoff and Russo again. Obviously, no one knew what to do with the company, and just a little over two years after the "Fingerpoke of Doom," WCW aired its final event on March 26th, 2001, after Vince McMahon bought out the company. The final match in a WCW ring was between none other than two of the men that had been there from the start: Sting and Ric Flair. It was a fitting swan song for the once mighty WCW empire. If you’ve forgotten or missed any of the comparisons I’ve made throughout this article, or if you decided just to skip to this section, I’ll give you a brief rundown of all of the similarities I discovered when studying the history of the Console Wars and the Monday Night Wars. Nintendo and World Wrestling Entertainment both began as small, family-owned companies. For both companies, the second-generation owner changed the name of the company, and the third-generation owner revolutionized their business. Nintendo had the best games and WWE had the best wrestlers, Sega had standout titles but nothing amazing and WCW had great wrestlers, but they weren't on the same level as WWF. Tom Kalinske and Eric Bischoff took over their respective companies and completely revived their struggling brands. Both companies took the same approach of attempting to appeal to a more mature audience by being more edgy, while the WWF and Nintendo continued to be clean-cut, family entertainment. Sega and WCW both took public shots at their competition, whereas Nintendo and WWF rarely even acknowledged their foes. Sony was to gaming what ECW was to wrestling, and the emergence of a third competitor eventually led to the demise of both WCW and Sega. Sega couldn't compete any longer, and ECW helped WWF get the killer instinct they needed. At one point in time, Nintendo was in a partnership with Sony. The WWF and ECW also had a working relationship for a period of time. WWF and Nintendo introduced new stars (Stone Cold Steve Austin, The Rock, Mick Foley/F-Zero, Star Fox, Donkey Kong Country) when fans began to cry out for new faces. WWF and Nintendo pushed the wrestlers and games we wanted to see, while Sega never released a Saturn Sonic game and WCW held back up-and-coming stars. The Saturn's surprise launch created a rift with developers and retailers, the "Fingerpoke of Doom" insulted fans. Both Sega and WCW had roughly a 2-3 year period where they were unquestionably on top of the market. And despite the fact that both the Console Wars and the Monday Night Wars already had decided victors, Sega announced their decision to leave the console market on January 31st, 2001, and less than 2 months later, Vince McMahon bought out World Championship Wrestling. 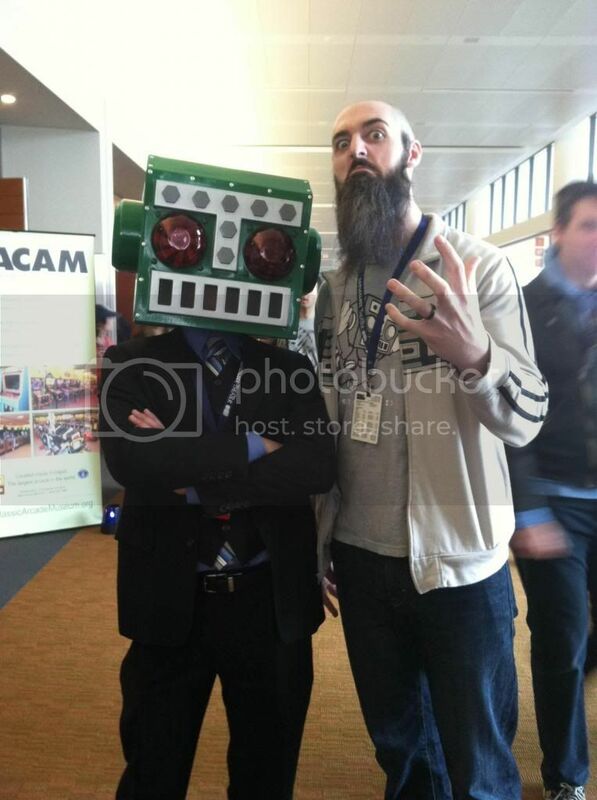 I hope you all have enjoyed this trip down memory lane. Keep in mind that all of the information and correlations I’ve made are based on things I’ve read, watched, or heard, and any opinions expressed are my own. I don’t claim to know everything, perhaps some of the sources I used embellished on certain facts or didn’t get something exactly right, I’m just a lifelong gamer and former professional wrestler who found some interesting parallels between two of the most influential times of my childhood. Hopefully I’ve shed some light on one subject or the other for you. Thanks for reading, and God bless you. Here's all the places to find me on the internet.